Recent and current missions to Mars have studied the suitability of Mars for life. But they don’t have the ability to look for life itself. 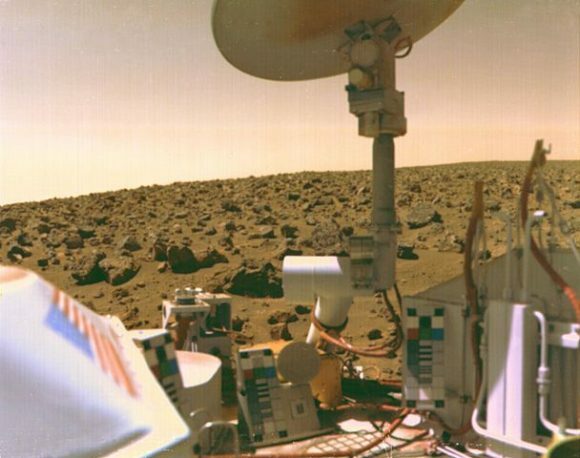 The last time a Mars mission was designed to directly search for life was in the 1970’s, when NASA’s Viking 1 and 2 missions landed on the surface. No life was detected, but decades later people still debate the results of those missions. But Mars is heating up, figuratively speaking, and the sophistication of missions to Mars keeps growing. With crewed missions to Mars a likely reality in the not-too-distant future, the team at McGill is looking ahead to develop tools to search for life there. And they focused on miniature, economical, low-energy technology. Much of the current technology is too large or demanding to be useful on missions to Mars, or to places like Enceladus or Europa, both future destinations in the Search for Life. The team of researchers from McGill, which includes Professor Lyle Whyte and Dr. Jacqueline Goordial, have developed what they are calling the ‘Life Detection Platform (LDP).’ The platform is modular, so that different instruments can be swapped out depending on mission requirements, or as better instruments are developed. As it stands, the Life Detection Platform can culture microorganisms from soil samples, assess microbial activity, and sequence DNA and RNA. A key part of the system is a miniaturized, portable DNA sequencer called the Oxford Nanopore MiniON. The team of researchers behind this study were able to show for the first time that the MiniON can examine samples in extreme and remote environments. They also showed that when combined with other instruments it can detect active microbial life. The researches succeeded in isolatinh microbial extremophiles, detecting microbial activity, and sequencing the DNA. Very impressive indeed. This image shows the instruments tested in the Life Detection Platform. Image: J. Goordial et. al. These are early days for the Life Detection Platform. The system required hands-on operation in these tests. But it does show proof of concept, an important stage in any technological development. “Humans were required to carry out much of the experimentation in this study, while life detection missions on other planets will need to be robotic,” says Dr Goordial. The system as it stands now is useful here on Earth. The same things that allow it to search for and sequence microorganisms on other worlds make it suitable for the same task here on Earth. “The types of analyses performed by our platform are typically carried out in the laboratory, after shipping samples back from the field,” says Dr. Goordial. 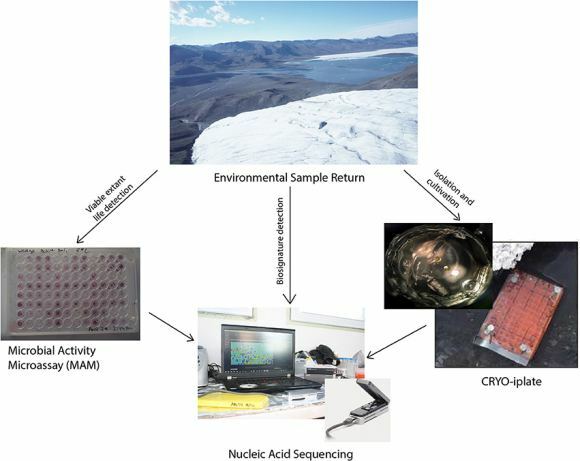 This makes the system desirable for studying epidemics in remote areas, or in rapidly changing conditions where transporting samples to distant labs can be problematic. These are very exciting times in the Search for Life in our Solar System. If, or when, we discover microbial life on Mars, Europa, Enceladus, or some other world, it will likely be done robotically, using equipment similar to the LDP. The post Researchers Develop a New Low Cost/Low Weight Method of Searching for Life on Mars appeared first on Universe Today.